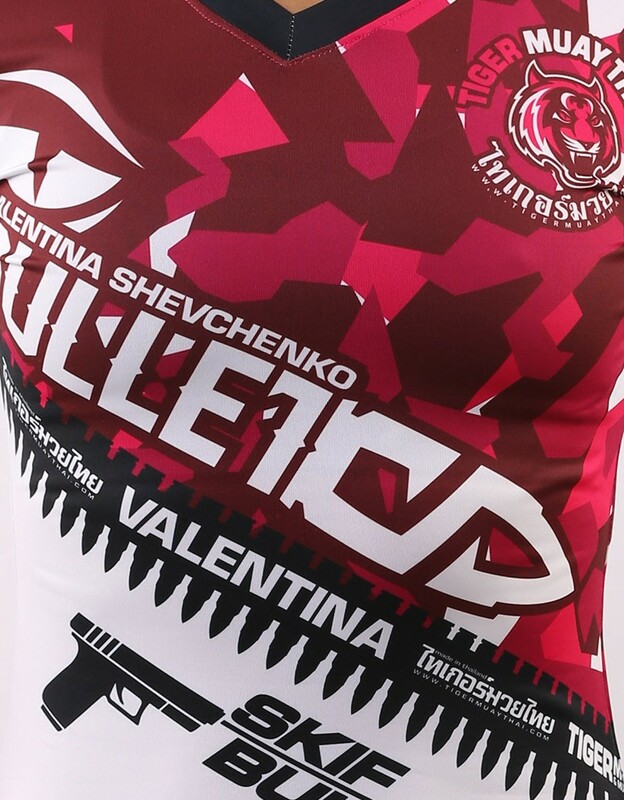 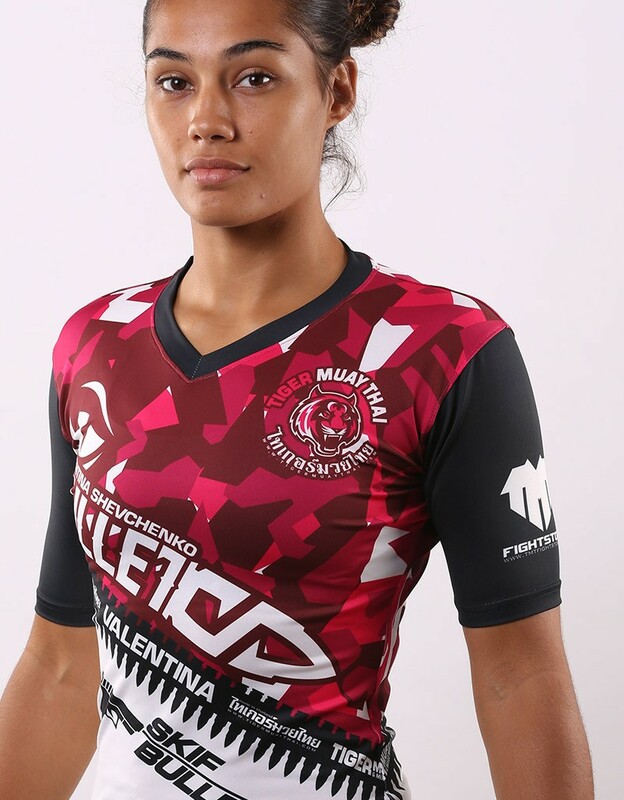 TMT & UFC Fighter Valentina Shevchenko "Signature Camo Serie" Rashguard in Bright Pink. 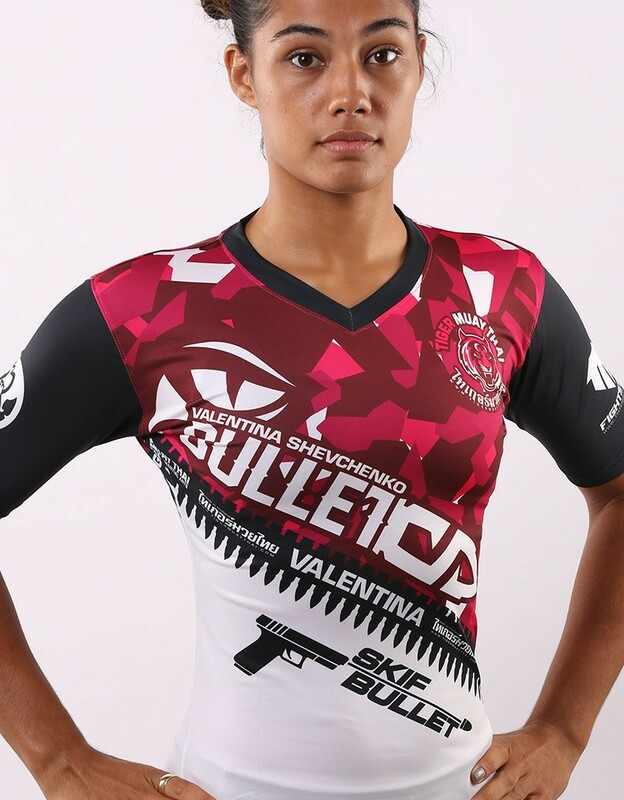 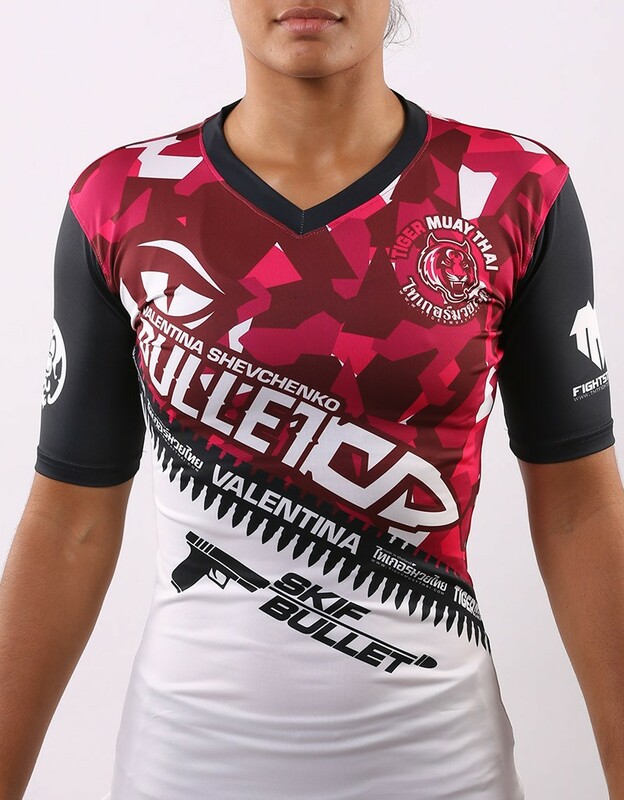 TMT & UFC Fighter Valentina Shevchenko "Signature Camo Serie" female cut rashguard in Bright Pink urban camouflage. The model in the photos is 5' 10" / 178 cm and wearing a XL size.